Exercise for Weight Loss is one of the greatest rudiments needed to lose weight. Excess weight is not only destructive to your self-image, but it is also detrimental to your health. The most significant fact about losing weight is that you have to burn more calories than you consume. 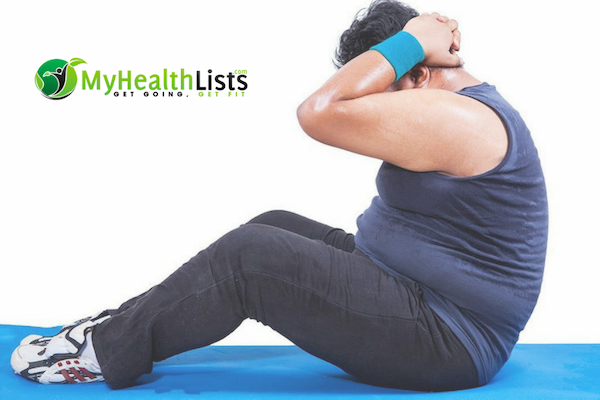 For weight loss, some cool exercises help you to burn excess weight in no time. The result of exercise can’t be hidden; it pays off as it helps you to burn extra pounds and calories. Getting active generally increases your chances of maintaining a lean body mass. The following are the coolest exercises to help you lose weight. Running regularly can help you to lose weight drastically. You can start with slow runs, but slow runs are good for boosting your metabolism. Fast running, on the other hand, is an exercise that creates a negative balance in your calorie level. It helps you burn a significant number of calories than you consume. Running has a recovery process referred to as “afterburner effect” in which your body continues to burn calories even after completing your exercise. The harder or more intense you run, the more calories you burn. Running can help you to burn up to 639-946 calories/hour. Jumping Jacks are a useful exercise to rid excess weight from the entire body. This exercise forces your body to use multiple muscles at once thereby helping to burn a lot of body fat. Jumping jacks date back to pre-school days, but they are a beneficial cardio exercise that can help to rid unwanted weight from your body. This is one of the most significant exercises to lose weight faster. Kickboxing has a lot of benefits on your body. You can burn a whole lot of calories with kickboxing exercise. You can lose up to 900 calories for every one hour of kickboxing session. It is an intense workout that can make you keep shape while toning your muscles at the same time. You can take this exercise on your own or join a class. When kickboxing, ensure to take rest in between. Take a 30 seconds break for every 90 seconds of kickboxing. With consistent and regular rowing, you can reduce weight and healthily burn fat without having to starve yourself. To get a maximum intensity, row fast in one-minute intervals which is 150 watts. Take 30 to 60 seconds of active rest. You can also alternate between other exercises like squats, planks, and push-ups. A rowing machine can help you to burn up to 481- 713. Skipping is also known as rope jumping. Skipping as a cardio exercise helps to burn up to 300-400 in Just 45 minutes. It helps to reduce weight drastically within a short time. It works your entire body muscles thereby helping you to lose overall body weight. These exercises are excellent for your weight loss journey. All you need to do to harness the power of these exercises is your determination and strong will.